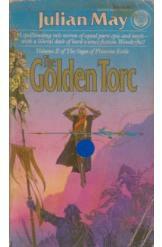 The Golden Torc Julian May Sci Fi. Book is in good condition, all pages intact. One hundred thousand outlaws have fled to prehistoric Earth to escape opression, but now find that a hostile alien race has already colonized it. The second book of The Pliocene Exile.